I can't believe that winter is right around the corner though the weather here is telling me it is. Winter is an exciting time in the quilt world. Market just wrapped up in Houston so there are a host of new tools and fabric getting ready for us to play with and wish for. Winter also lends itself to more time to quilt because no one is hanging outside when the weather is cold and the day seems so short. 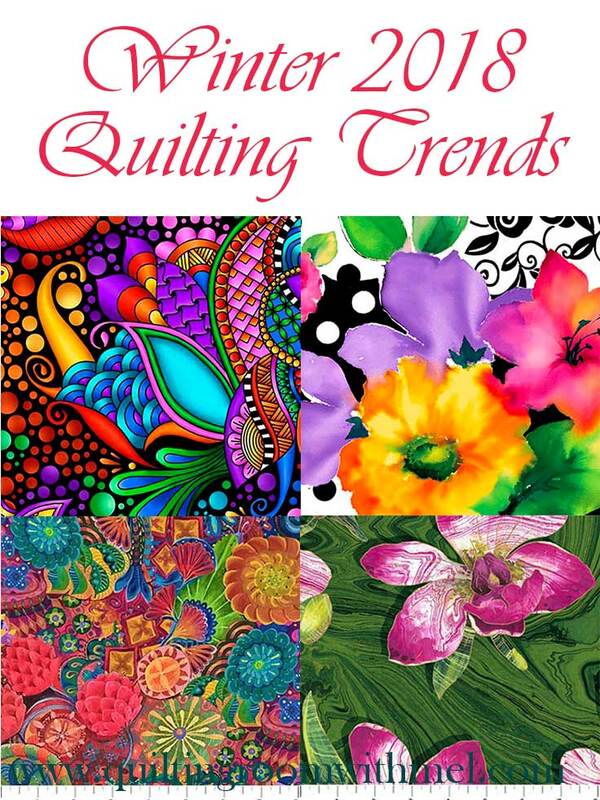 Are you ready to see what I think will be the top quilting trends for 2018? Winter is that odd season that covers two years though there's only a couple of weeks in 2017. No matter what the temperature tells us winter doesn't start until December 21. 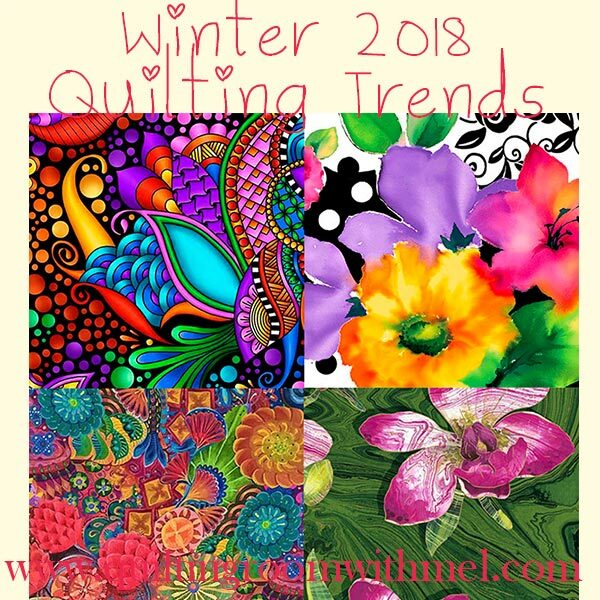 So are you ready to jump into the winter quilting trends? First up is quilt related items. Companies are finally starting to realize that us quilters are a huge demographic that spends money on our favorite craft. I am seeing more t-shirts, coffee mugs, planners, phone cases, and more related to quilting. If you are looking for one yourself you can check out Amazon's Handmade section, Zazzle, Etsy, or even my Zazzle shop. Even if they aren't specific for quilters I'm seeing quilt patterns pop up on other items as well. Of course, they call it graphic design, I call it half square triangles. Color will be making a comeback. This makes this bright and bold color fan very happy. I will be the first to admit that I don't like pastels or all white rooms. I need something more so I'm going to call myself a trendsetter instead of someone who can spill on anything. Home decor items will also feature big floral prints. 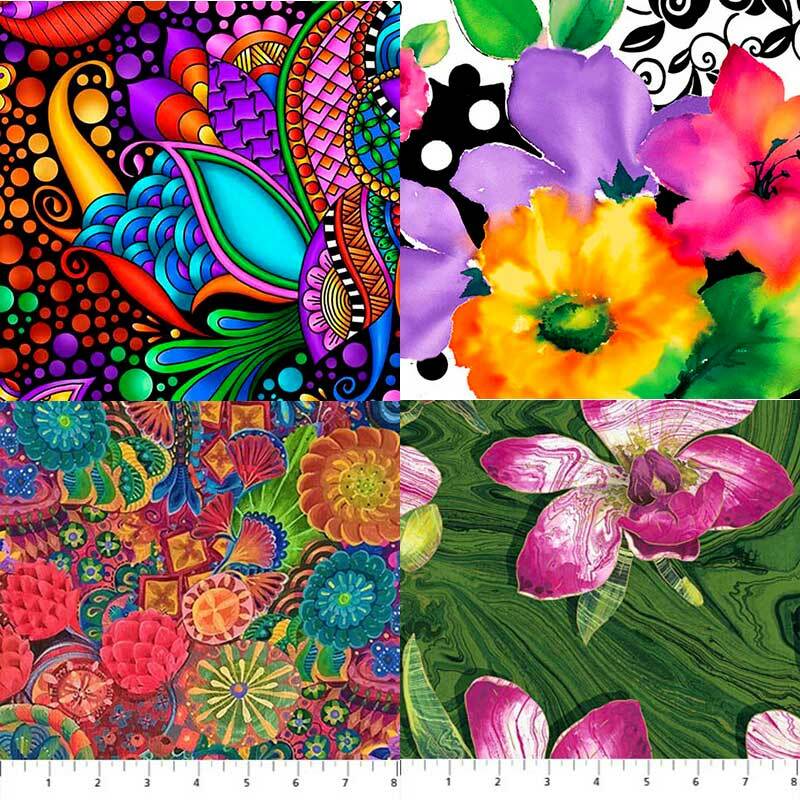 I've seen a lot of new quilt fabric also featuring large scale floral prints. QT Fabrics has Carnivale coming out soon and Brooke just released. Carnivale reminds me of adult coloring pages as well. Northcott has Floral Fantasy coming in February and Sandscapes Orchid out now. This isn't the first time that large-scale floral prints have been used before but I like these more abstract artsy prints than I did the large-scale florals of the 90s. I can't wait to play with these prints in my oversized quilt blocks. I also think we will be seeing a return to traditional quilting. The results of the survey held by Quilts, Inc., the people who put on market and festival in Houston, that 85% of dedicated quilters like traditional quilts. See we aren't alone folks! We are the majority. I fully expect to see more products geared toward us. 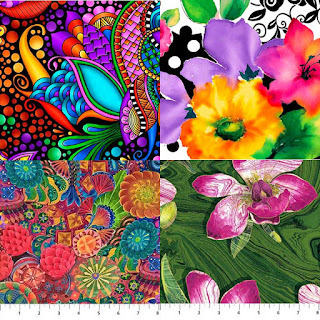 Speaking of products are you ready to see what I think are the next big things in quilting? 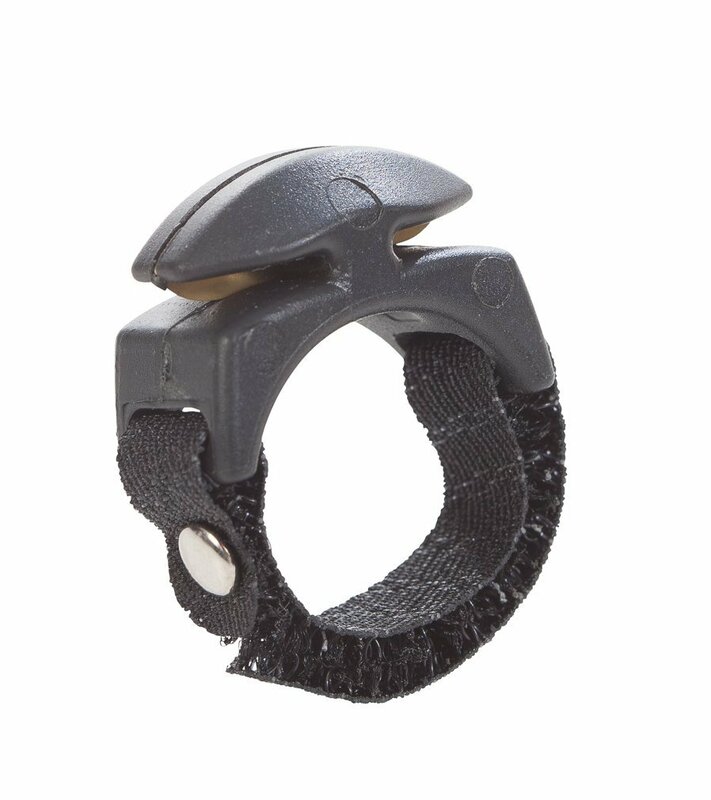 Threadcutterz - These adjustable rings make cutting a breeze. I've been following them on Twitter for awhile and have noticed they are hitting a lot more shows. It won't be long until they are everywhere. Hand-work lovers rejoice! I am seeing a ton of new products just for you. From needle palettes, armchair organizer, new wooden hoops, and even water-soluble printer paper for EPP. I think this just goes to show how much of a return to the traditional quilting ideas we are making. There is also a big "slow stitch" movement starting. With the popularity of Accuquilt and Cricut Maker I look for other companies to break into the cutting world soon. I would be surprised if Silhouette doesn't have something up their sleeves that we will see soon. If they don't they are missing out, the quilting industry is a multi-billion dollar industry full of very dedicated people. I love reading your updates. I so wish someone would take over a listing of all the current giveaways. I enjoyed that a lot. I won an occasional item and met so many new bloggers. Love those big bold colored prints! Thank you for putting together such an interesting post! I love the idea that traditional quilts are holding their own!